British band Kids On Bridges have covered Bruce Springsteen’s “Dancing In The Dark” which could be a massive hit. Listening to the tracks on the band's MySpace I think they could be huge, take a listen yourself. Kids on Bridges are a duo that formed in Liverpool, England a couple of years ago and have supported Gary Numan at a Manchester concert. They also have a MySpace site for their remixes. Adele is scheduled to appear in the May 14th episode of Ugly Betty on ABC. 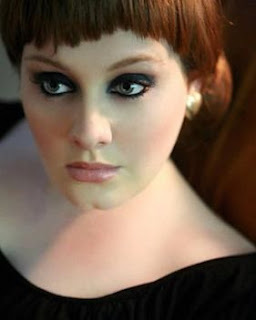 Adele will be seen performing a song at a photoshoot in the episode titled "In the Stars" in which Betty, Marc and Matt oversee a photo shoot for a YETI assignment that turns into an impromptu wedding. Also Adele has been photographed by Annie Leibovitz for this month's issue of Vogue. Adele has written six new songs for her followup to her 2008 debut CD, 19. Her wish list of duet partners is: "I'd love to do a song with Ray La Montagne. I think he's stunning," Adele said. "And also Bon Iver. He has called an album For Emma, Forever Ago and it's the most beautiful album I've ever heard. And I'd love to do something with Alison Krauss. I think she's beautiful." If I was still living in Toronto I would hopefully be seeing Adele again live at Massey Hall tomorrow night. Below are her scheduled tour dates, on June 28th she performs with her favourite singer Etta James at the Hollywood Bowl, a dream come true for her. 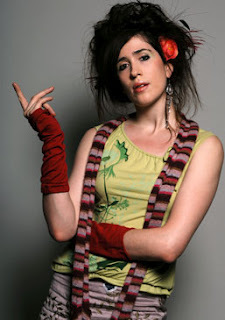 Imogen Heap is currently on a mini promo tour of the U.S. having listening sessions with media and record company types to start the promotion wheels turning for her next album due out in August, it will be called "Ellipse". Check her day to day musings on her Twitter site. An article about the album is available here. Imogen Heap mentioned singing on a new track called "My Secret Friend" in one of her vblogs (and Twittered about). 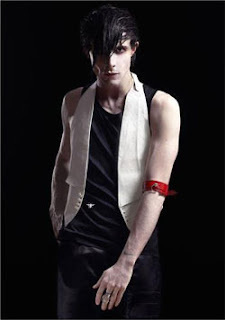 It was with Chris Corner (Sneaker Pimps) and his IAMX project. The song is on his new cd titled "Kingdom Of Welcome Addiction" (pre-order here, out May 19th, 2009). From a write up about the song: "It's pop-drenched tones wash through the ears creating a moody but infectious mood. 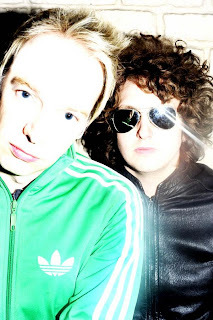 It is part Depeche Mode and part Savage Garden." The first single from the new IAMX cd is titled "Think Of England" and is available for free download here. "My Secret Friend" is up for one week here, enjoy (should help tide Immi's fans over until the release of her new cd).